Inside all of us is a spirit of adventure that’s just waiting to be set free. And when the urge to break out of the daily routine becomes irresistible, this high-tech explorer is ready to take you wherever you want. The latest XT1200ZE Super Ténéré is built to satisfy your desire to discover what lies beyond the horizon. Everything about this hugely capable long distance adventure bike has been designed to take you further than you ever imagined possible. 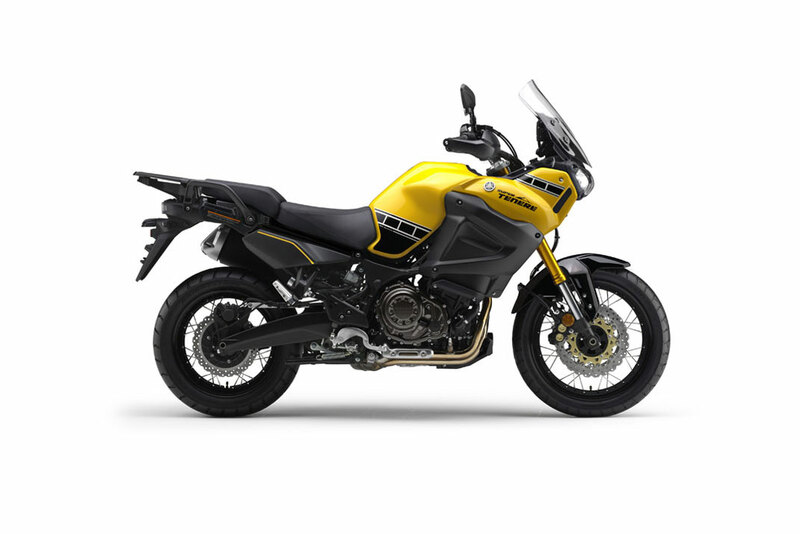 Equipped with a hugely powerful 1199cc twin and a rugged chassis, the Super Ténéré is ready to thrill on the highway and excel on the dirt. In order to achieve a high level of reliability in a variety of conditions, a low-maintenance shaft drive unit is adopted. This shaft drive unit is the first on a Yamaha motorcycle to use what is called a hypoid gear. This compact-design unit helps to reduce un-sprung weight and mechanical noise as well, while contributing to excellent running stability. To reduce rider workload in the rough stuff, the XTZ1200 is fitted with traction control. Both wheels are fitted with speed sensors. When the rear wheel spins faster than the front, the sensor signals the ECU to adjust the YCC-T throttle, ignition timing and fuel injection to control the power delivery to the rear wheel. The traction control feature has three modes: OFF, TCS1 and TCS2, allowing the rider to adjust according to road conditions, skill level and personal preferences. 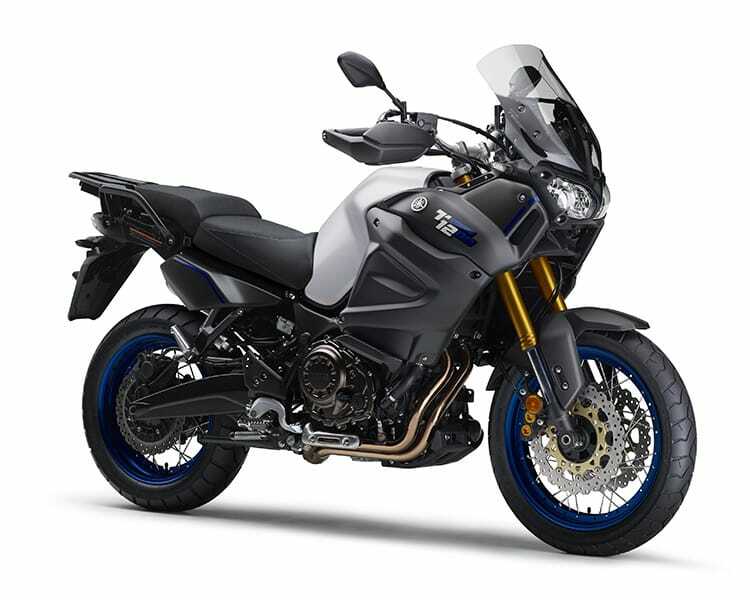 The ABS / Unified Brake System unit allows the rider to operate both the front and rear brakes simultaneously by simply pulling the front brake lever. Data from wheel speed sensors at the front and rear wheels and the rider's throttle work is used to calculate the various factors influencing the braking and automatically determine the proper amount of braking force for the rear wheel. This system also helps prevent the front and rear wheels from locking on slippery surfaces. On the XTZ1200 the engine is mounted as a stressed member, and the frame is designed to reduce rider fatigue over long distances. Because riders are very sensitive to the location of the crankshaft, this frame locates the crankshaft low and very close to the foot pegs, lowering the centre of gravity. This makes the XTZ1200 feel lighter than it actually is and makes the bike easier to ride. One of this engine's most interesting features is its 270° crankshaft and the superior traction this crank layout delivers. Because both cylinders fire closely together, traction is improved and the rider can better feel the grip at the rear tyre similar to that of a single cylinder. 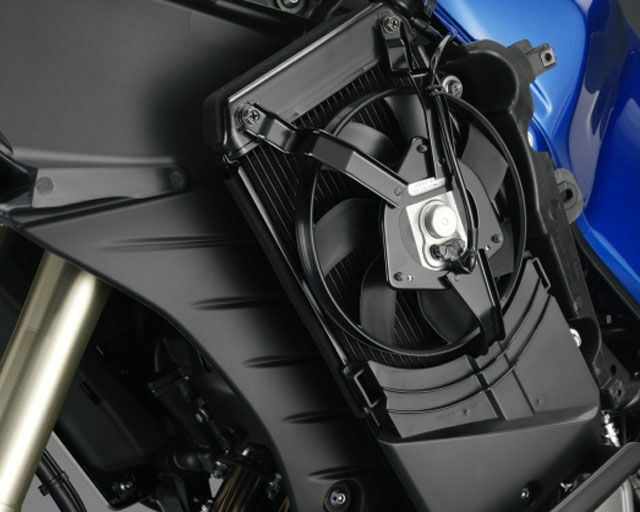 This technology was developed by Yamaha for use on its winning Dakar rally racers. To ensure greater comfort in long-distance riding and ease of leg reach to the ground, a front-rear divided seat is adopted that features height adjustment (2-level adjustment with a height difference of 25mm) for the rider's seat.